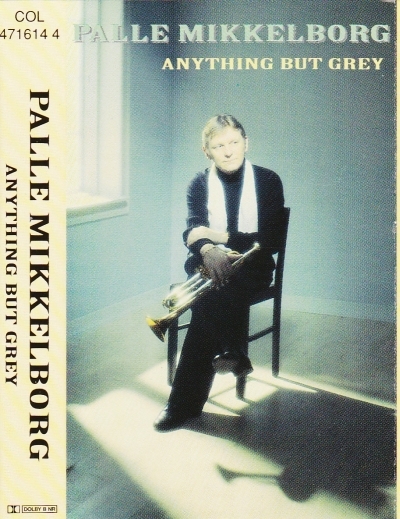 Danish trumpet player Palle Mikkelborg. Cover/inlay: mint- (m-)or as new. With tracklisting and information about musicians playing on the tracks. The tape/the label: Columbia red label. 1992. "Made in Holland". All music composed and arranged by Palle Mikkelborg, except Smile composed by Charles Chaplin. Recorded in Sound Track Studio, Copenhagen and final recordings and mix in Medley Studio, Copenhagen. "Thanks to Steen Sorgenfrei and Sony Music for making this possible"
Mit dem dänischen Trompeter Palle Mikkelborg. Cover/Einlage: mint- (m-)oder wie neu (as new). 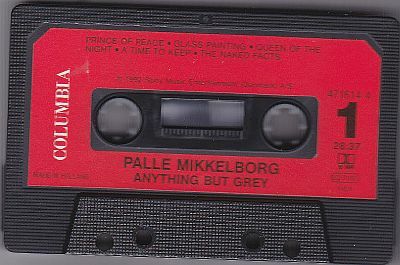 Liste mit den Musikstücke und information von den Musiker, die auf der Musikkassette beteiligen. Kassette/ Band/ Etikett: Columbia rotes Etikett. 1992. "Made in Holland". Musik komponiert und arrangiert von Palle Mikkelborg, ausser "Smile" von Charles Chaplin. Sound Track Studio, Copenhagen und Medley Studio, Copenhagen.